As the winters draw in, who doesn't love a warming drink. Being a west country company we are used to enjoying fantastic alcohol free mulled cider and we think this great taste can be achieved without the alcohol. After lots of testing we think we have found the perfect recipe! Grab this pack and simply add a squeeze of honey and a couple of cinnamon sticks. 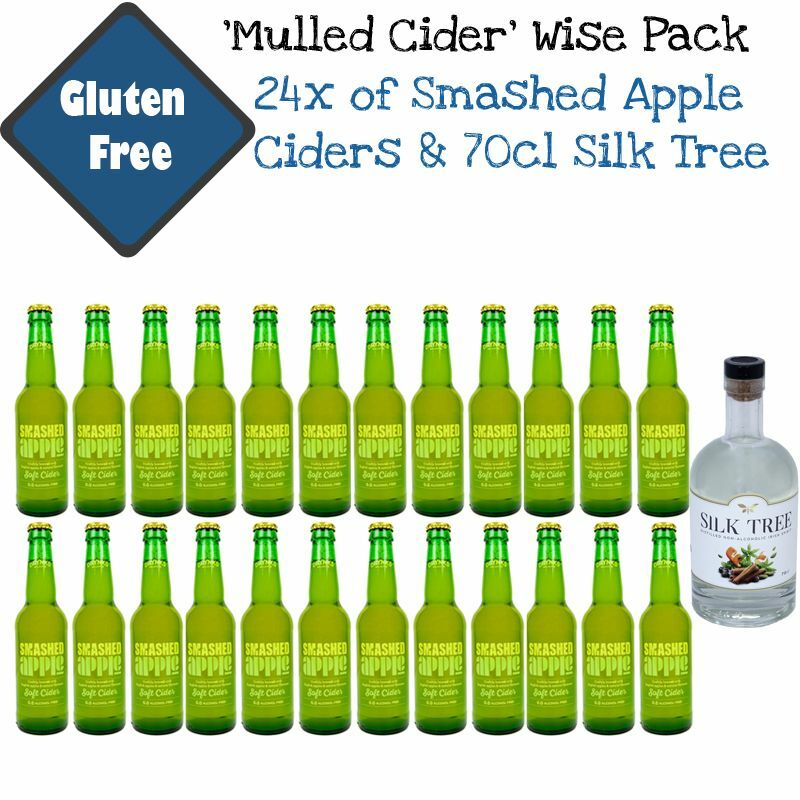 The bumper pack for just £68.79 includes 24 bottles of Smashed Apples Cider and a 70cl Silk Tree Alcohol Free Spirit.